Ανά τομέα λογισμικό δημιουργίας αντιγράφων ασφαλείας DVD με 9 εκλεπτυσμένη τρόπους! WinX DVD Copy Pro 3.9.1 ήταν διαθέσιμο ως προσφορά στις 31 Ιανουαρίου 2019! WinX DVD Copy Pro υιοθετεί μια μοναδική ανά τομέα DVD αλληλεπικάλυψη τεχνολογία που παρέχει ένα 100% που το αρχικό αντίγραφο DVD σε ποιότητα, τη δομή και το περιεχόμενο. Δεν έχει σημασία, ο Δίσκος σου είναι που αγοράσατε πρόσφατα ή παλιά, ιδιωτική ή οικογενειακή DVD, εκπαιδευτικά ή ταινία DVD, αυτό το πρόγραμμα είναι η προτιμώμενη επιλογή για να κάνετε backup τα πολύτιμα Dvd. Γνωρίστε το DVD αντιγράφων ασφαλείας ζήτηση σε 9 τρόπους. Ψηφιοποίηση DVD σε εικόνα ISO, VIDEO_TS ή MPEG2 αρχείο, κλώνος DVD σε DVD, αντιγραφή DVD κεφαλαίου * απόσπασμα ήχου και βίντεο τοποθετεί DVD ISO και να κάψετε το ISO ή VIDEO_TS σε δίσκο DVD. Υποστηρίζει όλους τους τύπους των Dvd. Είναι, επίσης, το ισχυρότερο εργαλείο δημιουργίας αντιγράφων ασφαλείας για τα παλιά γδαρμένο DVD και νέα 99-τίτλος DVD, μπορείτε να παραλείψετε το κενό τομέα, επιδιόρθωση κατεστραμμένου τομέα και διαβάστε σπασμένα τομέα για να εξασφαλιστεί η ομαλή αναπαραγωγή. Υψηλός-ποιότητα, γρήγορη ταχύτητα, το χαμηλό κόστος CPU. Με ένα μέσο κόστος CPU των λιγότερο από το 1%, παράγει ένα 1:1 Αντίγραφο DVD μέσα 12-17 λεπτά (επίσης ποικίλλει σε διαφορετικές διαμορφώσεις ΥΠΟΛΟΓΙΣΤΉ) με πεντακάθαρη εικόνα και ήχο Hi-Fi. Βελτιωμένη το DVD σάρωση και την ανάλυση του συστήματος για να επεξεργαστεί νέα ταινία κυκλοφόρησε δίσκους. Ενισχυμένη ο κινητήρας να επεξεργαστεί άσχημα γδαρμένο ή κατεστραμμένο Dvd σε ταχύτητα μεγαλύτερη από ό, τι πριν. Προσφορά μπόνους: WinX παρέχει μια μοναδική ευκαιρία για τους χρήστες του GOTD να πάρει Άδεια Αναβάθμισης της Ζωής στο 70% έκπτωση σε έκπτωση. Ισχύει μόνο για 48 ώρες. As with many tools of this sort, it may require an update every now and then to support the newest copy protections. There also is a DVD Burner, ISO Mounter and a Video Preview. It can remove DVD Region Code, UOPs (User operation prohibitions), CSS encryption and Disney Fake. I'm not a DVD collector by any means, so i didn't have much to choose from, aside from a CSS-protected DVD just laying around. I told it to copy to ISO and it did. Then i mounted the ISO and it played normally in VLC, so i guess that was a success. One feature i kinda missed is a proper shrink option, since the ISO went straight over 4,7 GB (5,86 GB), resulting in definitely not fitting onto a regular DVD-5. Also personally, i'd rather use a streaming service for movies instead of buying them on DVD but if a DVD one has is scratched, a tool like this may help to create a working backup copy from it, ready to burn on a new DVD blank and that's probably the only scenario when i would use it. As with many tools of this sort, it may require an update every now and then to support the newest copy protections. Last version given away here was v3.9.0, here is the changelog from v3.9.1 https://www.winxdvd.com/dvd-copy-pro/updatelog.htm As for the features, you can Clone DVD to DVD, Clone DVD to ISO, Copy DVD to VIDEO_TS Folder; Copy to single MPEG2 File, Copy DVD Chapter, Extract Video Only, Extract Audio Only There also is a DVD Burner, ISO Mounter and a Video Preview. It can remove DVD Region Code, UOPs (User operation prohibitions), CSS encryption and Disney Fake. I'm not a DVD collector by any means, so i didn't have much to choose from, aside from a CSS-protected DVD just laying around. I told it to copy to ISO and it did. Then i mounted the ISO and it played normally in VLC, so i guess that was a success. One feature i kinda missed is a proper shrink option, since the ISO went straight over 4,7 GB (5,86 GB), resulting in definitely not fitting onto a regular DVD-5. Also personally, i'd rather use a streaming service for movies instead of buying them on DVD but if a DVD one has is scratched, a tool like this may help to create a working backup copy from it, ready to burn on a new DVD blank and that's probably the only scenario when i would use it. What is ‘valid only for 48 hours’? The discount on a lifetime upgrade? Or the whole programme? "Bonus Offer: WinX provides a unique chance for GOTD users to get Lifetime Upgrade License at 70% off discount. Valid only for 48 hours." Note the term "Bonus Offer:" that means it is an additional offer to the giveaway which is valid for 24 hours as usual. Zen , the bit in the same font and emphasis immediatly before the text which is clearly the title for the 48 hour additional offer I'll quote it for you so you can TRY to read it again: <b>"Bonus Offer: WinX provides a unique chance for GOTD users to get Lifetime Upgrade License at 70% off discount. Valid only for 48 hours. "</b> Note the term "Bonus Offer:" that means it is an additional offer to the giveaway which is valid for 24 hours as usual. Since Blu-ray happened, retail DVD video quality has been reduced as a sort of DRM -- buyers demanding best quality can buy the Blu-ray, so the studios can get away with a minimal quality level that will show negative effects if the video is ever re-encoded, e.g. using a ripper or screen capture app. That makes it less likely that re-encoded video can ever be resold, or become a popular download. And that's why a copier like WinX DVD Copy Pro is nice -- the video is not re-encoded. The downside is that the mpg2 video files are larger -- AVC/H.264 versions of the same file are roughly 1/2 as big. Devices like cell phones also need to have a player like VLC installed to handle mpg2 -- AVC playback is normally native to the device -- but as mpg2 requires Much less processing, you might get better battery life & lower heat vs. playing the same video as AVC. You can also often [usually] use an OTG cable or adapter to connect a USB stick to a cell phone or tablet. Some of those adapters are quite small, & there are USB sticks that are even tinier, so that can be a good way to watch the mpg2 file copied from a DVD if the device storage is limited, or if you just don't want to bother with copying the video file to the device's internal storage, microSD card etc. If you copy the complete DVD to your hard drive, you can also use the old DVD Shrink [ videohelp[. ]com/software/DVD-Shrink ] or older copies of Nero Recode [same as DVD Shrink but newer] to reduce the file size, but you'll have to use a separate app to copy the video content to a single mpg2 file, if that's what you want, rather than a video DVD folder with .VOB & .VTS files inside. As long as you keep the quality in the 90s, Shrink works on some of the video frames in between the I frames [key frames], meaning visual quality is not noticeably impaired. Using Shrink you an also reduce the file size a surprising amount by cutting off the end credits to a movie, again without effecting visual quality. There's been no reason to copy video DVDs to ISO files for more than a decade now, but some people still want to do it [why is beyond me], and WinX DVD Copy Pro is happy to comply. It was Very popular in the past to copy DVD folders to a hard drive, then manage & watch those DVDs in Windows Media Center. If you still do that, note that Microsoft is ending meta data support. If you want to backup your DVDs to new DVDs you burn, WinX DVD Copy Pro will do a DVD -> DVD backup or copy. If the original disc is dual layer [8.5GB] that's the easiest way to get a copy. Dual Layer blanks are Not that expensive, though they have risen in cost a bit since far fewer people buy & burn dual layer DVDs nowadays. The free ImgBurn will handle burning dual layer DVDs Very well, but it's very slightly more work since you have to identify where you want the layer break [the split between layers on a dual layer DVD]. Often by copying only the main title video [e.g. the movie], along with only one audio track & only one sub track, the movie on a dual layer disc can fit on a regular, single layer DVD. DVD Shrink/Recode can help make those files smaller, as can cutting off the end credits. It's more work -- probably more work than it's worth for many people -- but you can extract the [usually AC3] audio track, and convert it from 5.1 to stereo, then create a new DVD layout, putting the original video together with that AC3 audio. That can shave off a good bit of the total file size, won't impact visual quality, and can actually improve what you hear on your TV. [The original multi-channel audio is the same as what's designed for theaters, with low volume levels for things like speech. Most DVD/Blu-ray players can try to counteract that, with varying degrees of success, but you can usually do better while doing the 5.1 -> stereo conversion]. Thank you for participating in WinX DVD Copy Pro giveaway. 1. Download this program from GOTD. Then unzip and install it. 2. Go to Digiarty official giveaway page. 3. Click "Get License" button, you will get a file with license key and activate guide. Note: If failed to unzip and install the file from GOTD, you can click here to re-download the setup file. To guarantee that you can use the full functions of V3.9.1, please install this program and activate giveaway license ASAP. An auto “Check for update” will pop up to tell you which version you are using, when you launch the activated software for the first time. If you want to keep using Giveaway version which does not support free upgrade, just click "Cancel" to close it. Here is also an exclusive flash sale for GOTD users to purchase Lifetime License at 70% off discount. . It comes with the privilege of free update to any future version. How to Activate Full Functions with Your Giveaway License. Feel free to contact support@winxdvd.com, if you have any problems on this program. Whats the difference between WinX DVD Copy Pro and WinX DVD Ripper ? 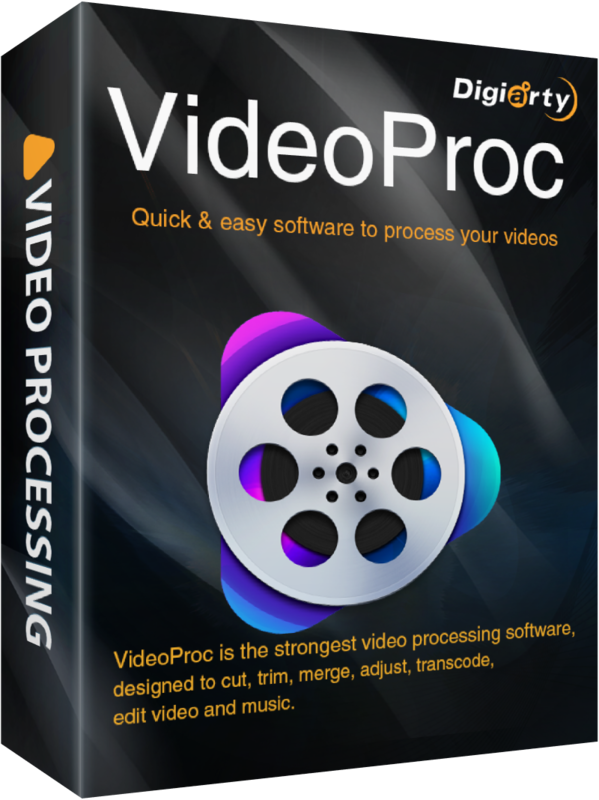 If you are looking for a DVD content backup tool, you should choose WinX DVD Copy Pro which comes with 9 copy modes: Digitize DVD to ISO image, VIDEO_TS or MPEG2 file; clone DVD to DVD; copy DVD chapter; extract audio video; mount DVD ISO and burn ISO or VIDEO_TS to DVD disc.